Harry Potter is a series of seven fantasy novels written by British author J. K. Rowling. 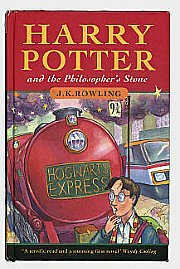 The books chronicle the adventures of the eponymous adolescent wizard Harry Potter, together with Ron Weasley and Hermione Granger, his best friends. Pictured right: A rare first edition of the very first Harry Potter book, written by the acclaimed British authoress J K Rowling, fetched a magical £9,000 on 26 June 2007 at Bonhams’ Books, Maps, Manuscripts and Photographs Sale in London. The story is mostly set at Hogwarts School of Witchcraft and Wizardry, an academy for young wizards and witches. The central story arc concerns Harry’s struggle against the evil wizard Lord Voldemort, who killed Harry’s parents in his quest to conquer the wizarding world. Pictured left: One of just seven copies of a new work by JK Rowling – The Tales of Beedle the Bard – sold at Sotheby’s in December 2007 for an unprecedented £1,950,000. 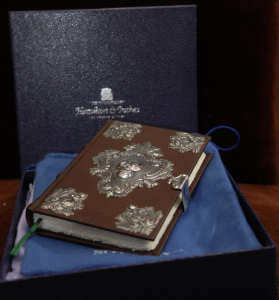 The work is hand-written and illustrated by JK Rowling. Proceeds from the sale went to The Children’s Voice Charity. Since the release of the first novel Harry Potter and the Philosopher’s Stone in 1997, which was retitled Harry Potter and the Sorcerer’s Stone in the United States, the books have gained immense popularity, critical acclaim and commercial success worldwide. 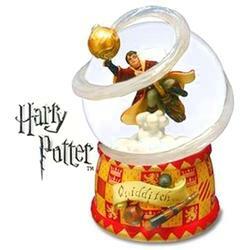 The series has spawned films, video games and Potter-themed merchandise. As of April 2007, the first six books in the seven book series have sold more than 400 million copies and have been translated into more than 64 languages. The seventh and last book in the series, Harry Potter and the Deathly Hallows, was released on 21 July 2007. Publishers announced a record-breaking 12 million copies for the first print run in the U.S. alone. The success of the novels has made Rowling the highest-earning novelist in history. English language versions of the books are published by Bloomsbury in the United Kingdom, Scholastic Press in the United States, Allen & Unwin in Australia, and Raincoast Books in Canada. 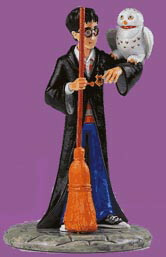 Pictured left: Royal Doulton Figurine ‘Wizard in Training’. Thus far, the first five books have been made into a series of motion pictures by Warner Bros. The sixth, Harry Potter and the Half-Blood Prince, began filming in September 2007, with a scheduled release of 21 November 2008. The series also originated much tie-in merchandise, making the Harry Potter brand worth $15 billion.Text: Copyright (C) 2000,2001,2002 Free Software Foundation, Inc. 51 Franklin St, Fifth Floor, Boston, MA 02110-1301 USA Everyone is permitted to copy and distribute verbatim copies of this license document, but changing it is not allowed.